With a high intensity focus and accelerated results, F45 Newtown promises a fast workout regime that will have you gasping for more. Run by Nathan Barry, a fitness professional for over 10 years, Newtown F45 training promises to get your heart racing and keep you engaged in your fitness journey. With a female-friendly environment on offer, and open to anyone of any age or fitness level, F45’s fast paced environment will ensure a workout that’s both challenging and rewarding. 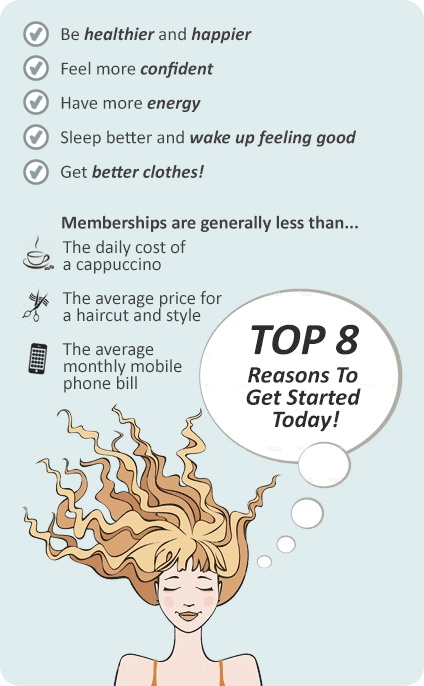 Based on a systematic and holistic approach, this boutique Newtown gym experience promises a fun, dynamic and intense workout for those that want to see rapid results! Come and be the judge yourself with a free trial of fun and innovative training done the F45 way... The easiest way to get the hardest workout! My name is Nathan Barry and I’m the director of F45 Newtown! I’ve worked and trained with some of the leading trainers in the fitness industry over the past 10 years. With a passion for running and all things endurance, if you’re looking for a Newtown group fitness experience or just to fully reach your fitness potential, we’ve got you covered. - High intensity: all day/everyday! We have an explosive growth rate, and a number of celebrities including Channing Tatum, Hugh Jackman and Jarrad Hayne swear by F45’s benefits. Whether it’s fast-paced boxing, cardio or one hell of a circuit session, F45 is the Newtown fitness destination for you! Whether you’ve experienced it or not, F45 is the best of the best. Come and be the judge yourself with a downloadable free trial below today! It took me one F45 session to get hooked on the variety, the sweat, the atmosphere and the team culture that is F45 Newtown… With a premium boutique studio environment and the highest quality team training, I guarantee you’ll feel the same! Circuits in action at F45 Newtown! Get fit - Get F45! Our boutique Newtown gym is waiting! Try our BROOKLYN Newtown boxing classes today! Prowler Sleds and circuit work - all at F45 Newtown! Weight training at F45 Newtown! Get outdoors and get involved in fitness Newtown! Newtown group fitness at its finest! The Newtown F45 training grounds! 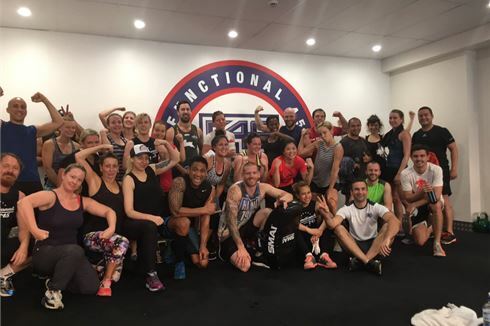 F45 Newtown - a welcoming and female friendly environment! Push yourself to the limit with our High Intensity Interval Training! Team training and a friendly Newtown fitness environment! Some of the facilities at F45 Newtown. F45 Newtown Boot Camp - challenge yourself! Structured on a High Intensity Interval Training basis, trainers push members to the limit for the entirety of their session. For those worried about time commitments, each F45 session lasts only 45 minutes. This leaves plenty of time in the day for the other things in life that matter to you. Concerned about about your ability or skill level? Newtown fitness members are fitted with a heart rate monitor, and F45 utilise the latest heart rate technology to ensure individuals progress at their own rate. Whether it be cardio, functional resistance or high intensity boxing, F45 has a range of heart pumping solutions to suit all needs. F45 Newtown also offers a core and body workout in the nearby Sydney Park for those that enjoy both indoor and outdoor training. With F45, Newtown group training is now easier to find than ever. Based around a cardio and weight circuit, members are grouped in a team of around 20 people to build friendships, camaraderie and an all round feeling of accomplishment. With 10 different unique program styles and over 1000 exercises on offer, individuals can train every day of the week and expect a completely different workout each time they enter! Programs focus on an ever-rotating array of stations, with workouts ranging from 9-54 stations depending on which session members attend. Worried you’ll lose your place? With a number of HD plasma TV’s displaying the day’s workout, detailed videos of how to perform each exercise and trainers demonstrating before you begin, all the information needed is always close at hand.